Dr. Plamen Russev is a Bulgarian serial entrepreneur, investor and philanthropist with over 25 years experience in tech and innovation and founder of one of world's largest communities of innovators, digerati and world leaders - Webit. He has been recently appointed a goodwill Ambassador for Digital Affairs of Republic of Bulgaria, becoming the third such ambassador in the world. Plamen Russev is featured in hundreds of international and local media and blogs including The Economist, Entrepreneur.com, Bloomberg, CNBCe, Forbes, Venture Beat, CNN to name a few. Plamen Russev is a frequently charing / moderating panels and keynoting at major events on 4 continents. His diverse background, education and investments include digital health, AI, blockchain, exponential technologies, building global brand, empowering women in business and politics, creating and developing self-sustainable and growing entrepreneurial ecosystems, establishing cities and countries as innovation hubs, talent magnets and investment destinations. EU Blockchain Observatory and Forum. Awarded by Financial Times, Google, Respublica and Vishegrad Fund among the 100 New Europe Innovators. Special Awards for overal commitment to the develpment of the digital economy of Bulgaria by BWA. Award by the Government of New Zealand. A number of international Digital Industry awards. Best Selling Author - business literature for the book Power to the People. Digital Solutions for Managing Health and Social Challenges. Serial Entrepreneur with proven success record in developing business ventures in multicultural and challenging business environments. Investor in tech companies with special interests and experience in Impact Investments in Healthcare, AI, IoT and as well as in eSports, VR and Real Estates. Sitting on the board of a number of companies in different locations around the world. Founder and Executive Chairman of Webit.Foundation and the Global Webit Series. 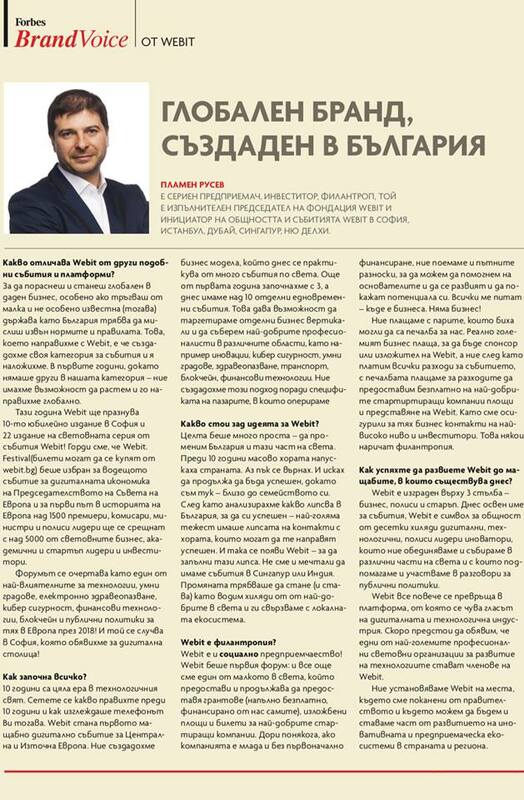 Webit stands for a one of the largest global communities of digerati, academic, policy and enterprise leaders, investors and founders from over 100 countries. Webit also hosts events (5 annually in Sofia, Istanbul, Dubai, Singapore and New Delhi) attended by several thousand to 15 000 business people, academia leaders and policy makers from all around the world. Member of a number of international academic, IT, marketing and non-profit organizations and trade associations. „Sofia – Digital Capital of the New Markets“ is a brainchild of Plamen Russev. The Project is positioning Sofia as a digital and tech hub for the CEE region and beyond. Author of the book „Power to the People“ (bestseller in Bulgaria). Author of the "New Doctrine for Intelligence Specialisation of the countries from the CEE region". Title: We ask. Webit respond. Title: Plamen Russev: After 250 years people will be as different as we are from chimpanzees. My interview for Forbes BG on Blockchain and my work as member of the European Commission’s EU Blockchain Observatory and Forum. My keynote at The Economist event under the theme "The world in 2018". Bulgarian National TV: How to get a promotion at work? What will work in 5 years? How will you look business? 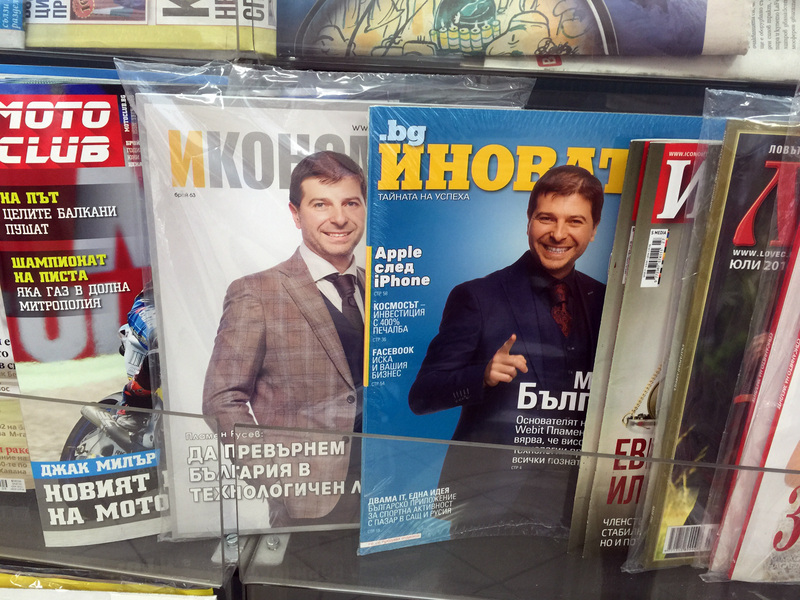 Jobs.bg: What will be the media and advertising agencies in five years? bTV: Plamen Russev and Blake Vhandlee - What's good in Facebook? TV7: Plamen Russev about social networks - "Power to the people"
Nova Vizia: Plamen Russev about his book "Power to the people - the new marketing"
Anthony Psacharopoulos, Senior Vice President, comScore, Inc.
“Plamen is a top performer in Education & Promotion of Internet in Eastern Europe. 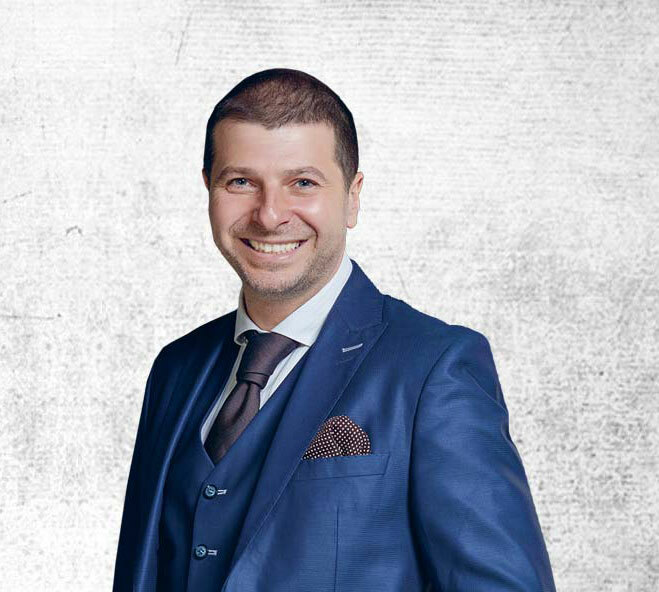 He is a person of choice if you plan to introduce yourself or your company to the emerging markets"
Plamen Russev is one of the pioneers and he works for the sake of Bulgaria to help the country build its reputation in the digiatl and tech fields. His vision for the digital future of Bulgaria is also mine! The best selling book "Power to the People - the new marketing" is a guide to creating online identity and engaging in conversation. It reveals a step-by-step process of successfully using social media for business. In the first part @Plamen Russev explains the social media phenomenon. The second part provides precise guidelines to creating both a personal profile and a brand page. Althouh we all know how to do that, if you read the book you'll understand why some are more successful than others. The third part is dedicated to a comprehensive plan for creating a social media marketing strategy. The forth and last part of the book provides proven tools and solutions of successful online reputation management. "Power to the people - the new marketing" is published by e-Academy - the EU-certified educational institution for professional online business and digital marketing education. Plamen Russev with Margarethe Schramböck, Minister for Digital Affairs of Austria - a hearthly get togethter in Austria. What a pleasure to meet Mark Cuban - the Shark in the "Shark Tank", one of the world's top entrepreneurs and my co-investor in my portfolio company Unikrn. Plamen Russev with the Executive Chairman of Alphabet Eric Schmidt at the World Economic Forum in Davos. Plamen Russev with Minister of Transport, Information Technology and Communications Ivaylo Moskovski, EU Commiss. Mariya Gabriel, Мinister of Bulgarian Presidency of EU Lilyana Pavlova and the mayor of Sofia Yordanka Fandakova in Sofia. Plamen Russev: So happy I am privileged to meet and chat with people I respect and like. It was a great moment to meet and have a nice chat with Mr. Lauda! Plamen Russev welcoming the EIT director Martin Kern and leaders from the EIT KICs to Sofia at a meeting with the Mayor of Sofia and representatives from the ministries, academia and innovation ecosystem! 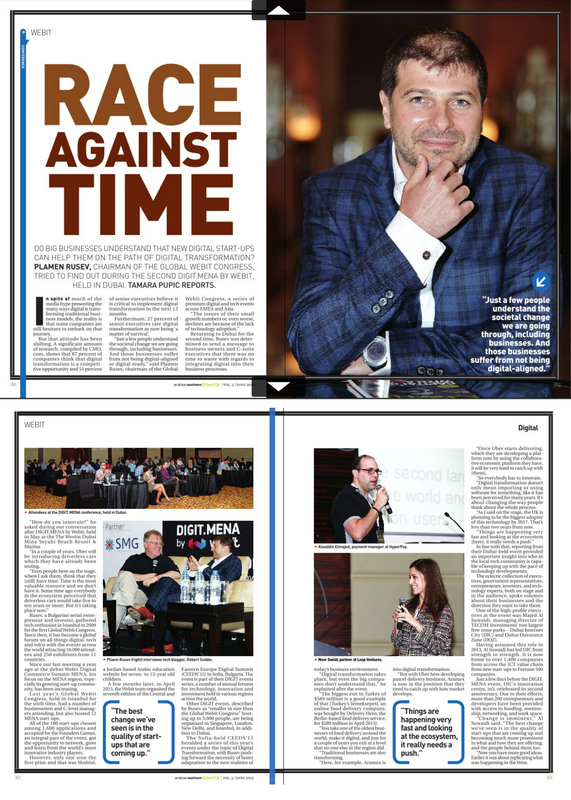 Plamen Russev at Forbes Woman Society Forum interviewed by Sevdalina Vasileva, Chief Executive Director of FiBank. Plamen Russev at his second honorary Ph.D - the Doctor Honoris Causa of UDABOL one of Bolivia's largest universities. Plamen Russev with the CEO of the World Bank Kristalina Georgieva happy to meet a fellow Bulgarian at the World Economic Forum.